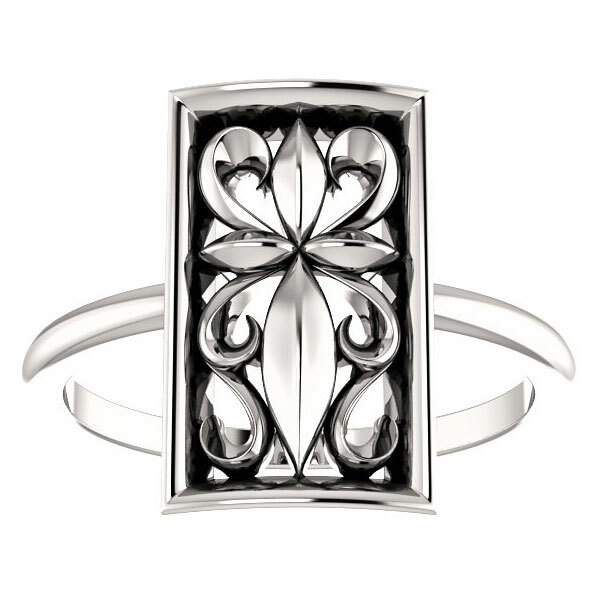 One of Apples of Gold Jewelry's most unique offerings, the vintage-style cross ring is crafted from pure 14k solid white gold (also available in 14k yellow, shown below). The cross emblem at the center of the vintage-style Christian ring is embellished with vintage-style paisley swirls which flow together perfectly with the cross, making a beautiful and unique ring with a bold, rectangular shape. 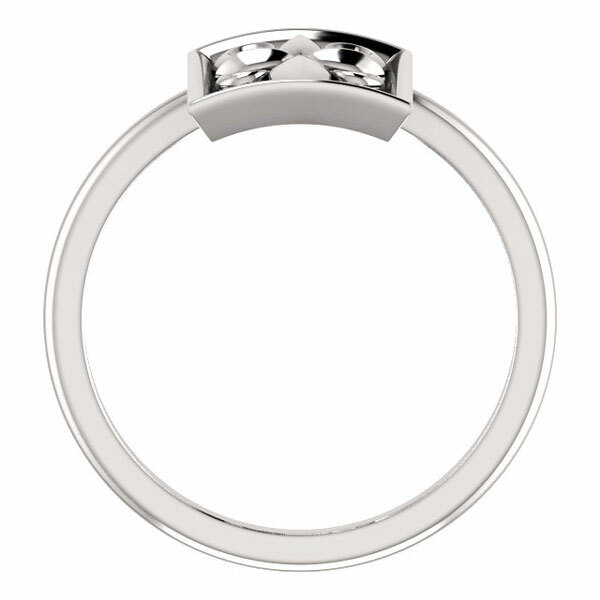 The top dimensions of the ring is just under 5/8" and the shank of the band measures approx. 1.7mm wide. The ring weighs approx. 3.81 grams of 14k solid white gold. "But thou, O LORD, [art] a shield for me; my glory, and the lifter up of mine head" (Psalm 3:3). 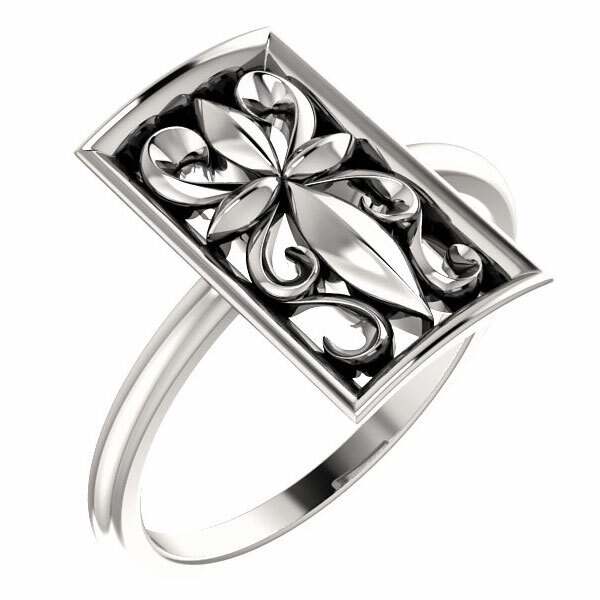 We guarantee our Vintage-Style Cross Ring in 14K White Gold to be high quality, authentic jewelry, as described above.